So it’s New Year’s Eve, and you are planning a fun outing with friends and family. Some of the Sports Techie blog community readers and followers will attend the second College Football Playoff Semifinal game at the Goodyear Cotton Bowl Classic between No. 3 ranked Michigan State and No.2 Alabama at AT&T Stadium or watch the broadcast on ESPN beginning at 8 p.m. ET, and it might be winding up in a thrilling fashion near the stroke of midnight to bring in the exciting new year of 2016. You might have just a drink or two or three at the sports bar, club or restaurant, but you don’t designate a sober driver because you know you’ll be okay to drive. I mean, it’s only a couple of drinks, right? DEAD WRONG. That is one life changing mistake that so many people and fans make. Not understanding that all it takes is one drink or puff to impair your driving. Why? Because buzzed driving is the same thing as drunk driving. Have a pre-designated sober driver. Call a taxi, Uber or Lyft. Carpool with a designated driver. If you are celebrating where you can grab a room, do it! 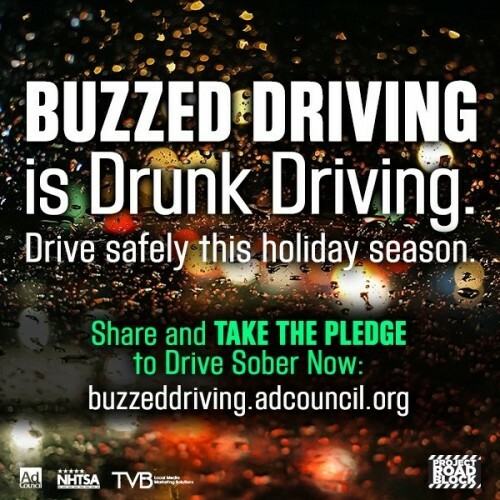 The U.S Department of Transportation and the Ad Council are asking everyone to drive smart this Holiday Season and to pledge not to drive buzzed. Plan AHEAD this Holiday Season! If you plan on drinking at all, don’t plan on driving. Buzzed Driving is Drunk Driving So Save Lives, Money And Grief By Planning Ahead This New Year’s Eve – #SportsTechie blog. 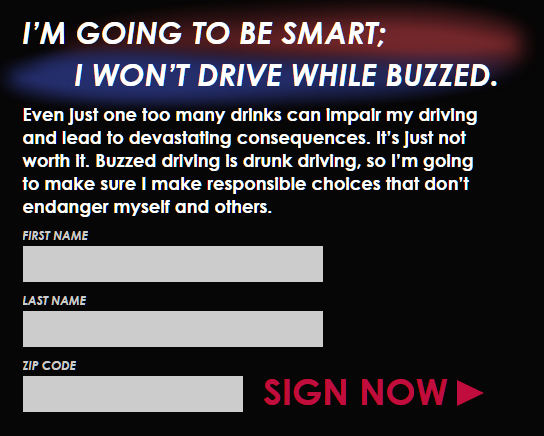 Visit http://buzzeddriving.adcouncil.org/ to sign the pledge to not drive buzzed and learn more about buzzed driving and the dangers that can come with it. In 2014, 9,967 people were killed in alcohol-impaired driving crashes. These alcohol-impaired fatalities accounted for more 31% of the total motor vehicle traffic facilities in the United States. That is crazy! And it is even worse during the holiday season. Alcohol-impaired drivers were involved in 37% of traffic fatalities during the Christmas holiday period and 44% of traffic fatalities over New Year’s – making the winter holiday seasons one of the deadliest times to be on the road. You also have to factor in cost, which is just NOT worth it. 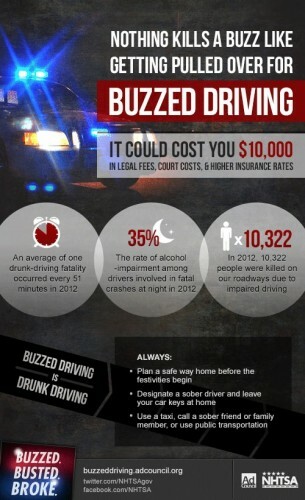 Buzzed driving can cost around $10,000 in fines, legal fees and increased insurance rates. Which means you will be paying for that drink or drinks for a very long time. 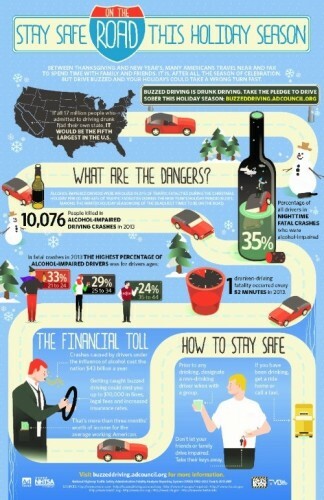 Buzzed Driving is Drunk Driving – Plan Ahead This Holiday Season. Take the pledge and ask your friends and family to do the same! This is not a topic to be shy about! Get the word out and YOU might just help save a life. Sports Techie, New Year’s Eve is no doubt one of the most fun nights to party, let go and bring on 2016 with the kind of gusto you hope your favorite college football team exhibits come bowl game time. The problem is once the fireworks come to close at the Seattle Center Space Needle in Seattle, Times Square in New York City or Centennial Park here in Atlanta, or any of the wild parties or bars around the nation and world close down, you may choose to go home or travel to another venue after consuming alcohol and recreational drugs, big mistake. Remember that your responsibility to yourself also includes doing unto others as you would have them do unto you. In other words, if you drive drunk or try buzzed driving, the odds are high that an accident will occur, injuries and even death may happen and your pocketbook is going to take a serious hit which many cannot afford. Do you want that to happen to you or someone you may or may not know? Should there be a fatality or serious injury, you will have to live with the dire consequences the rest of your life and beyond. Another factor to consider is the weather. El Nino is playing havoc with certain parts of the world and country so pay attention to the snow, ice and rain forecasts. Believe me, as I approach 50 in the new year, I have been that guy and so have many of you so stop thinking you are charmed and believe that the U.S Department of Transportation and the Ad Council stats do not lie. Hopefully, you will thank me on New Year’s Day because you made the pledge, saved lives and $10K, so sign up to not drive buzzed by clicking here. Please be smart this NCAA CFP evening and throughout the rest of the holiday by taking the pledge, then share this blog and hashtag #BuzzedDriving with others because buzzed driving is drunk driving.